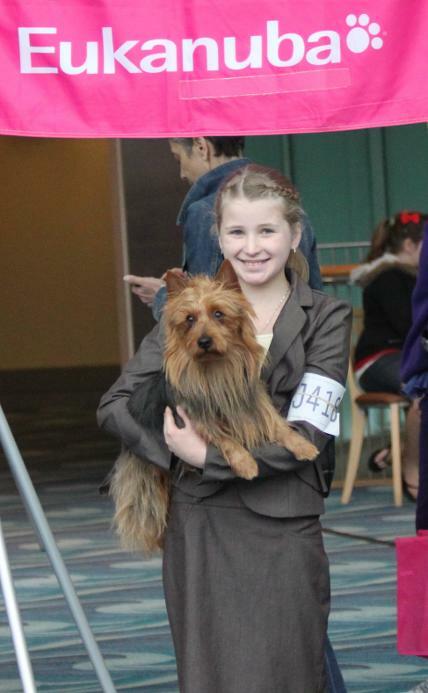 MBIS GCH Dunham Lake Scoutmaster "Scout" Retired in 2014 after an amazing show career! Thank you Judge Ms. Judy Thill for his Group 1 placement and to Judge Ms. Sharol Candace Way for his 2nd Best in show Award! Retired in 2014 after an amazing show career! A HUGE "thank you" to all the judges! 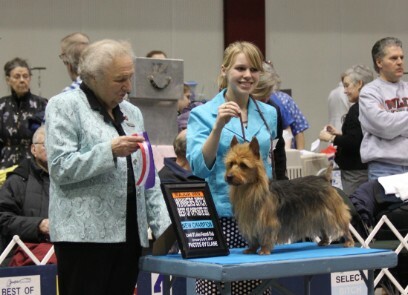 Top 5 Australian Terrier in the US! Co-Owned with The Steinmetz Family, shown by Handler Jackie Steinmetz. 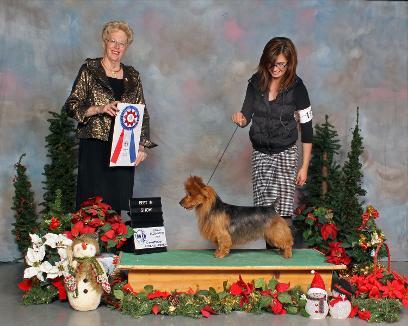 Scout is a loving family companion and is also doing very well in the show ring. #1 Ranked Aussie in the US. 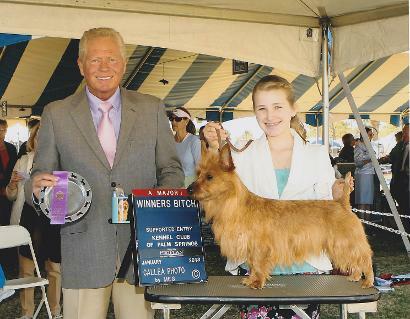 Retired Champion Dunham Lake Take a Bow "Reba"
Retired Grand Champion Benayr Just for Kicks "Beckham" 4th Grand Champion Australian Terriers in America. 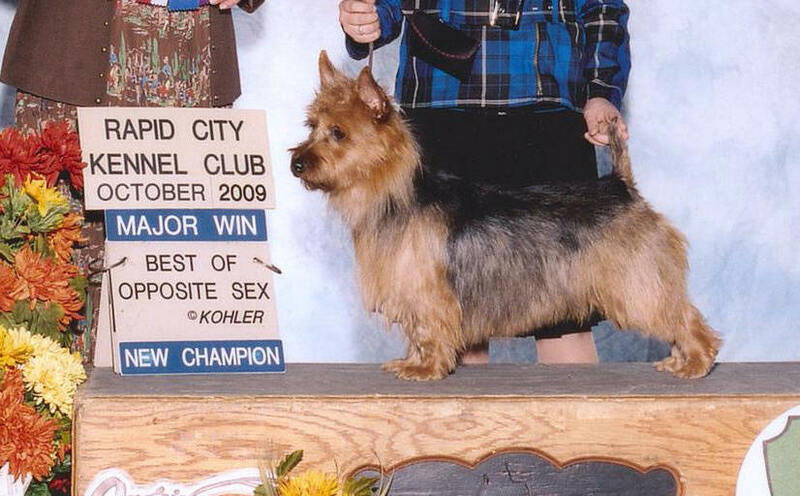 Grand Champion Benayr Beckham "Just for Kicks"
which he received in 2010. Beckham is enjoying life with Lydia. Retired Champion Benayr Kaih Catch the Wave "Kaih"
Champion Benayr Kaih "Catch the Wave"
Retired Champion Benayr Dakota's Daring Darling "Dakota"
Champion Benayr Dakota "Daring Darling"